Spears is a leading domestic manufacturer of PVC pipes and fittings with the largest selection of products in the industry and a trusted brand name. 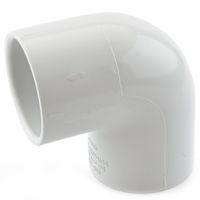 We stock a wide range of Spears PVC and CPVC fittings for residential and commercial water & wastewater applications. 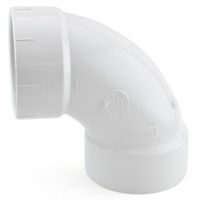 A complete range of DWV (Drain Waste Vent) type fittings in sizes up to 4" for any residential or light commercial project. Schedule 40 PVC fittings are great for low-pressure water applications and variety of DIY projects, such as greenhouses, etc. 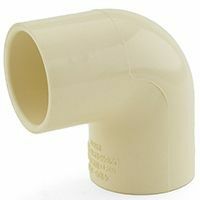 CPVC fittings are low cost alternative to copper fittings. Approved for potable water use and rated 180F at 100 psi. 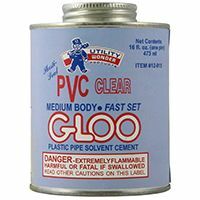 Clear and colored PVC and CPVC cements and primers intended for use with Spears, Lasco, Nibco and other brands of fittings.